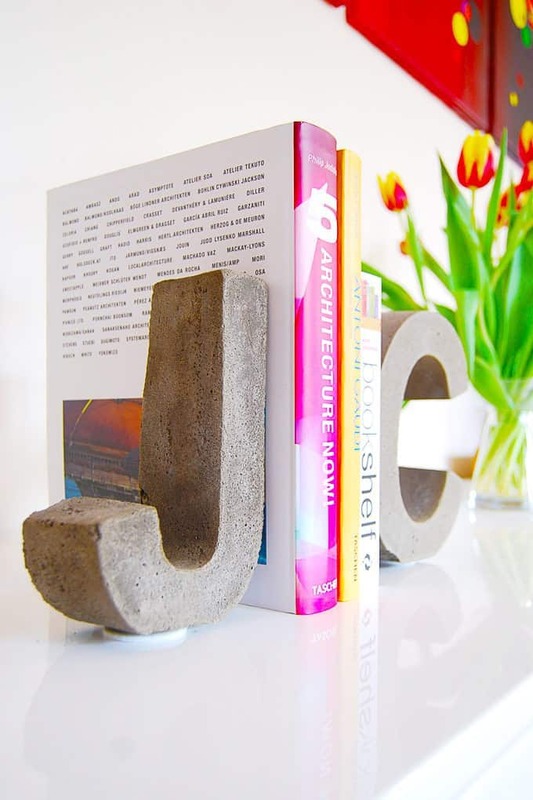 DIY concrete crafts are taking the world by storm. The versatility of concrete can really allow you to be unique and update your space. These eye-catching projects are sure to keep you busy even when on a budget! 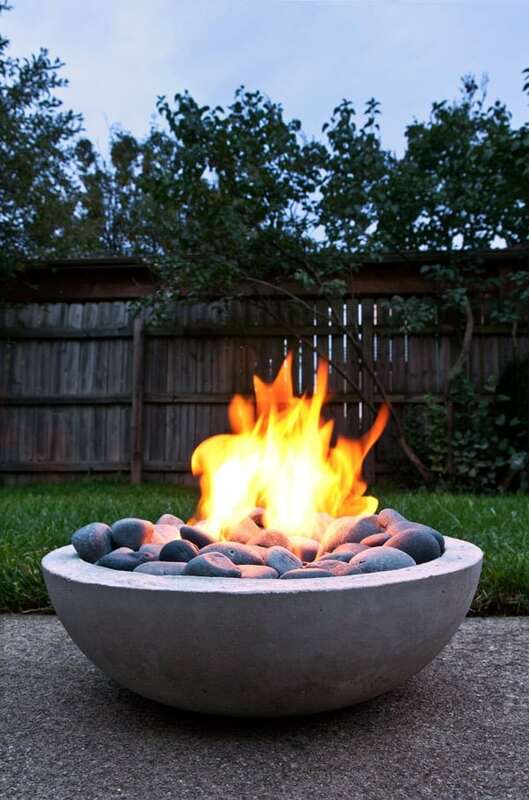 Hometalk shows you how you can make your own Fire Pit with Concrete in a weeks time. This would be an easy project if you are just starting out DYI. Check out their step by step guide here. Kathy Woodard at the Garden Glove loves to add character to her garden while on a budget. 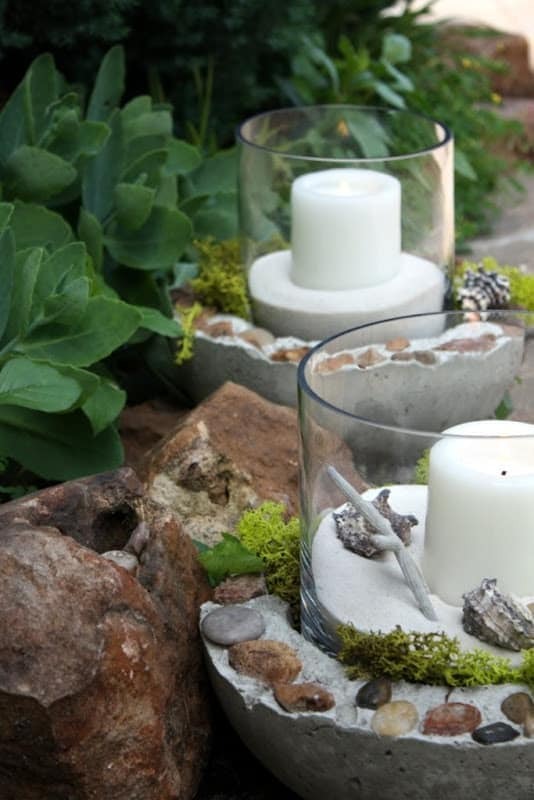 These Garden Globes made out of concrete are simple and inexpensive and can really spruce up the look of your garden. See more directions on how to make your own with this tutorial. 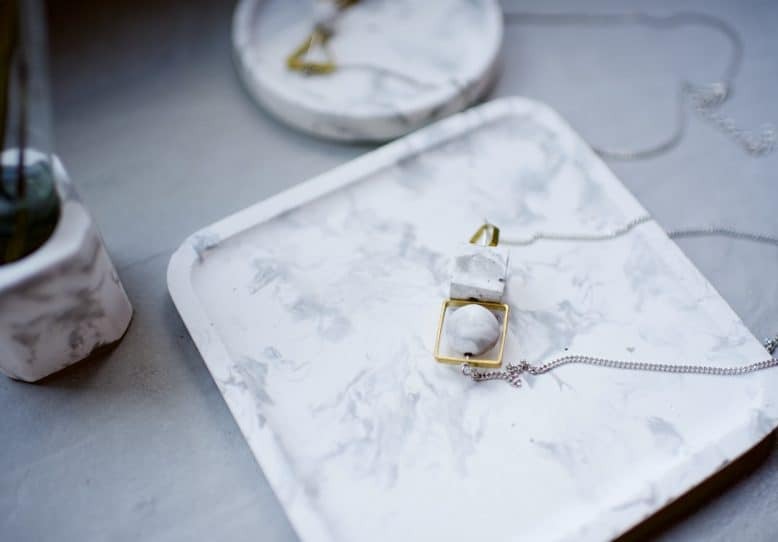 Geneva at A Pair and A Spare shares how you can make these fantastic Concrete Trays that look like Marble. 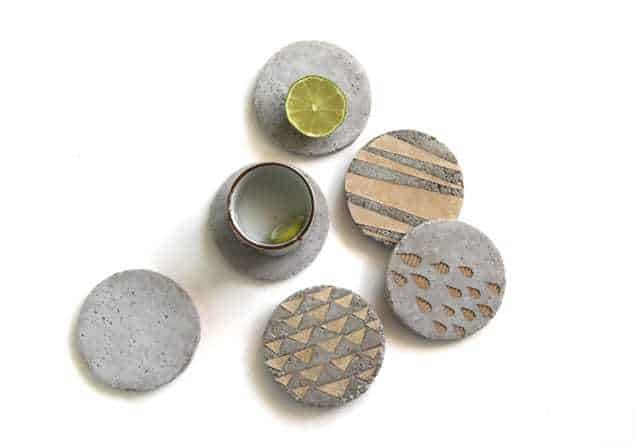 These stunning trays would make gifts or you can keep them all for yourself. The straightforward instructions will have you making all kinds of Concrete Trays. Make Your Own. 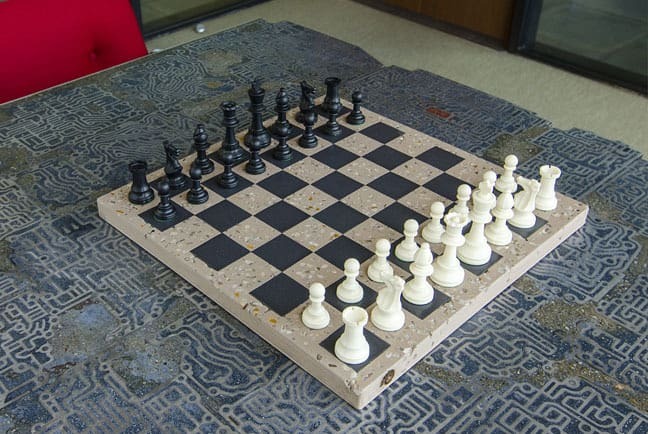 ShapeCrete made this amazing Chessboard out of Concrete. With 7 easy steps and a little bit of time you can be enjoying your own game of chess on the chessboard you made. Find out how they made it. 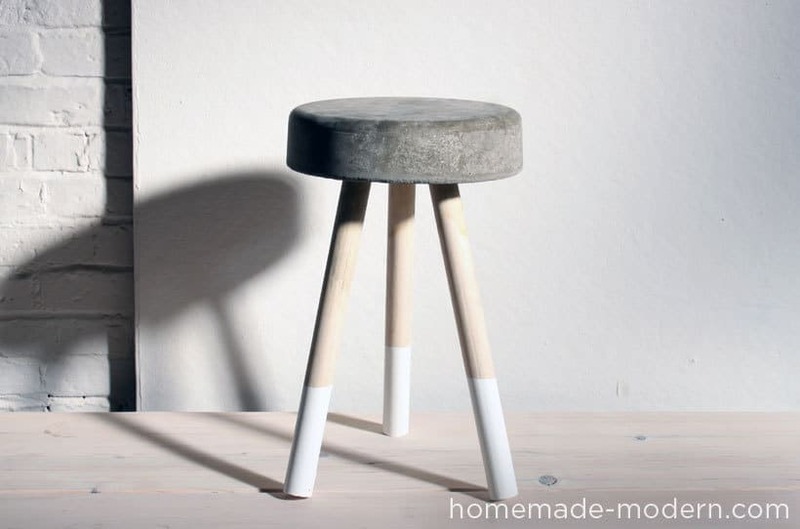 HomeMade Modern created this bucket stool for only $5! Modern and sophisticated, these stools can transform any space. Watch the video and follow the Step-by-step guide to make your own. 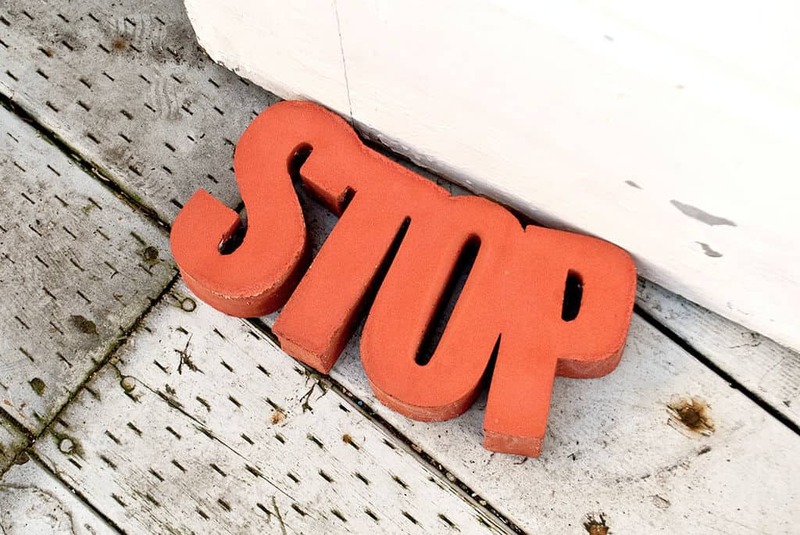 Instructables provides you with a great tutorial for making your own Door Stop. Their finished product is not only really cool, but also very funny. There tutorial will inspire you to make your own concrete door stop! Check it out here. At Love Create Celebrate she made some imaginative DIY Concrete Candles. Give any room in your home a more modern and industrial look with these. Learn to make your own. Over at Little House on the Corner they have a true love for concrete DIY crafts. The tutorial on the Concrete Bookends is awesome. These would make great gifts and can easily be personalized. They did some experimenting and this is what they came up with. 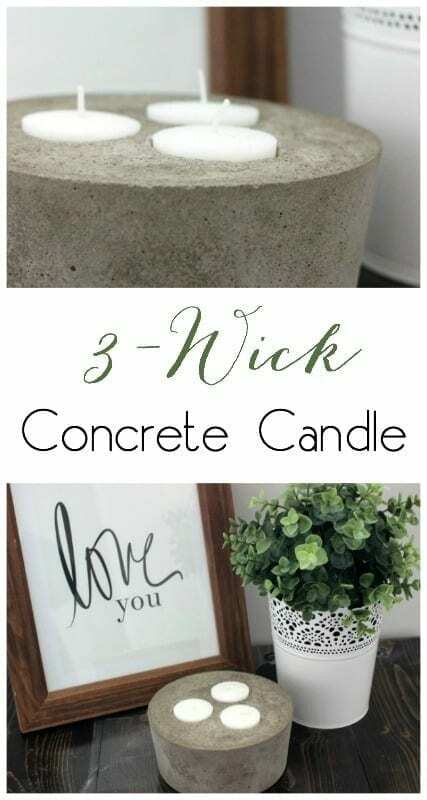 Sweet Something Design wanted a budget friendly way to make concrete planters. These are simple and look fantastic! See how you can make your own. 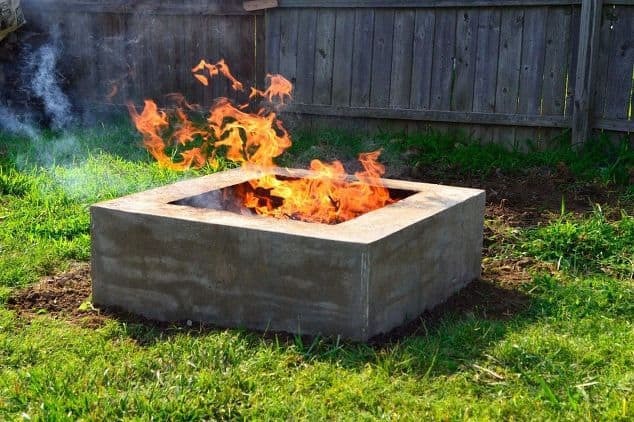 At Man Made they show you how cool your own DIY Concrete Fire Pit can be made. They are modern, stylish and functional. With a little pre work and a few supplies you will be well on your way to making your own. View Tutorial Here. 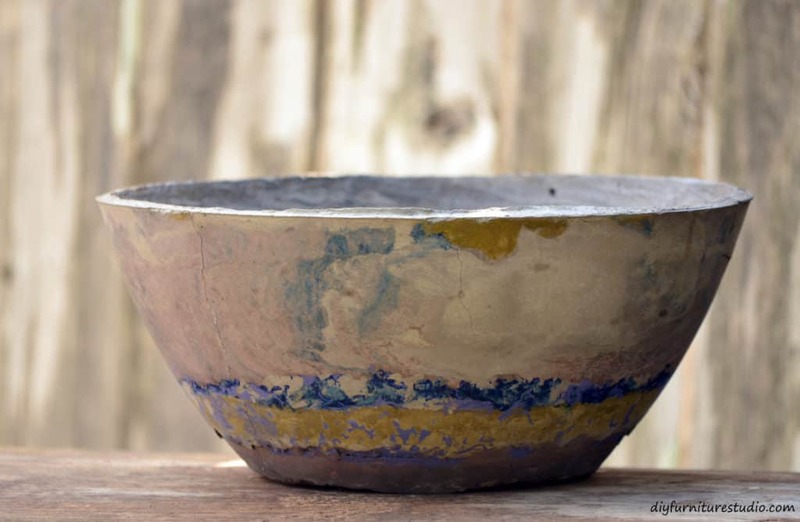 DIY Furniture Studio gives a great tutorial showing you how to make your own DIY concrete decorative bowls. They even made these bowls when they were away from home without their normal tools. That’s how easy they are! Check out how to make your own. 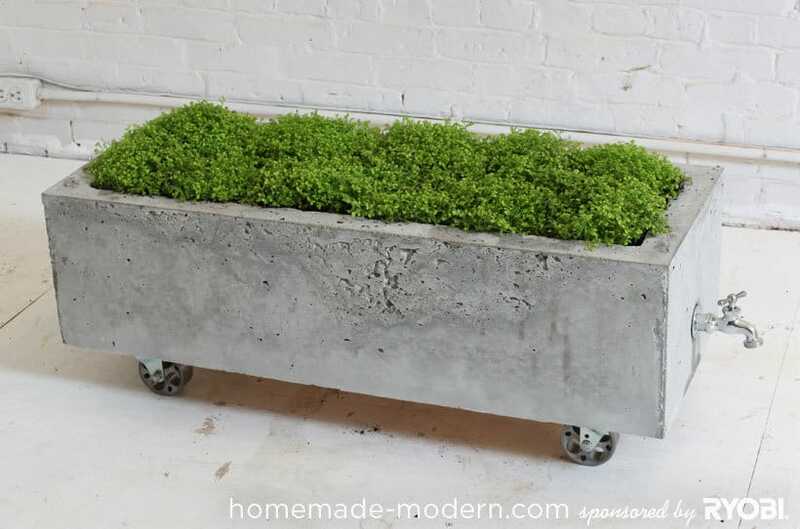 HomeMade Modern shows you with a few muscles and a little bit of work you can make a really cool concrete planter. The planter is so versatile and could have so many uses, plus they just look so industrial. Learn how to make your own by checking out their tutorial and video. 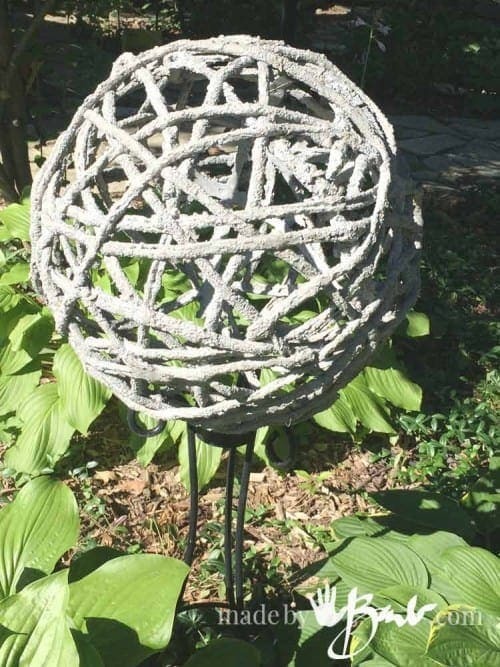 At Made By Barb she shows us how to take an already popular garden orb and make your own with concrete. They are a great project on a budget and they just look so cool. Full tutorial here. Ananda at A Piece of Rainbow created unique and decorative DIY concrete coasters. These would make great gifts and conversation starters. Check out the 4-step process here. 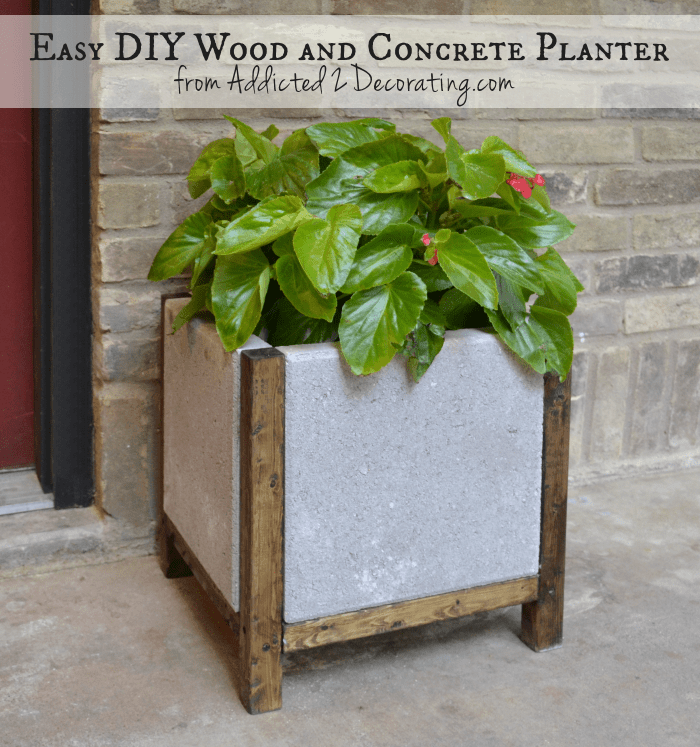 Kristi at Addicted to Decorating found a way to add curb appeal on a budget with these concrete and wood planters. They are easy and add so much character and style to any outdoor living space. Learn how to make your own. 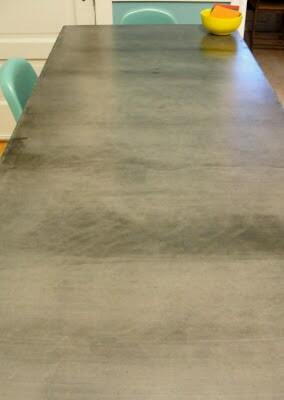 Apartment 528 gives some awesome tips and tricks to making your own Concrete Countertops. Transform any kitchen or bathroom with a concrete countertop. With some supplies and this great tutorial you will be well on your way to making your own. 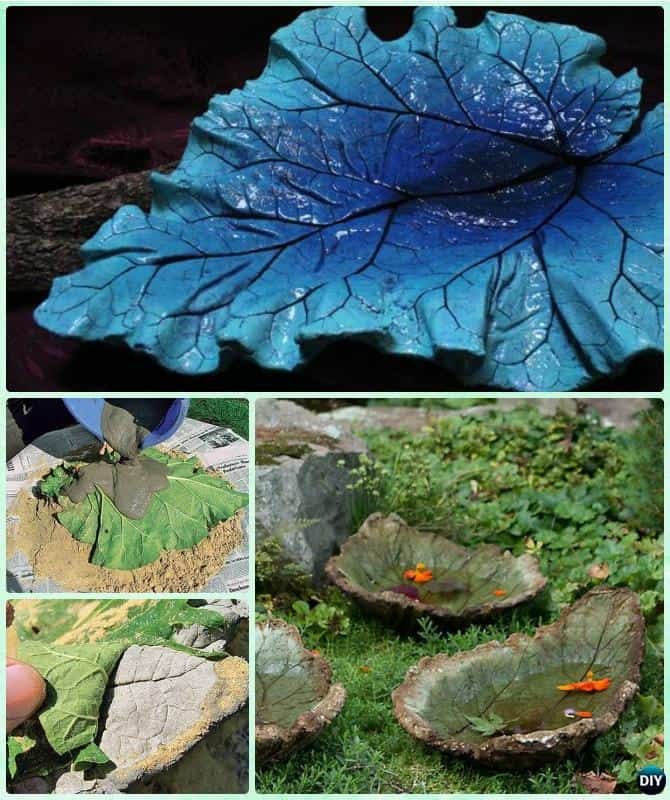 DYI How To has a fantastic tutorial on how to make Concrete Leaves. They look great and would make a wonderful addition to your garden. Find out more here. A Beautiful Mess made some remarkable Concrete Planters that can improve the appearance of any indoor or outdoor space. The versatility and cool style is sure to impress! Take a look at their super easy tutorial. 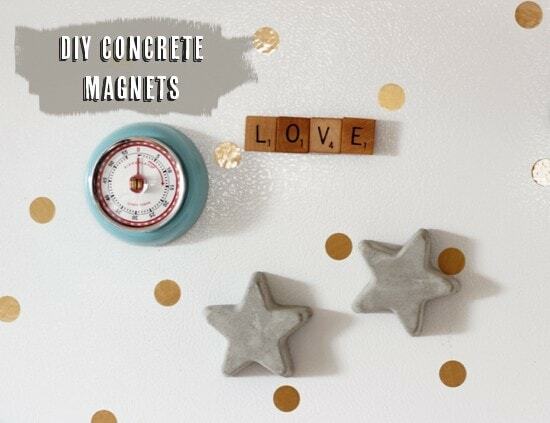 At Home In Love got busy creating Easy Concrete Magnets. Not only do they look awesome, but they are simple to make and completely functional. With minimal steps and supplies needed, check out the complete tutorial. Brit + Co got really creative while making some really awesome Concrete Vases using old jars and bottles. These are a perfect DIY craft because they are easy and inexpensive. Check out their creativity. 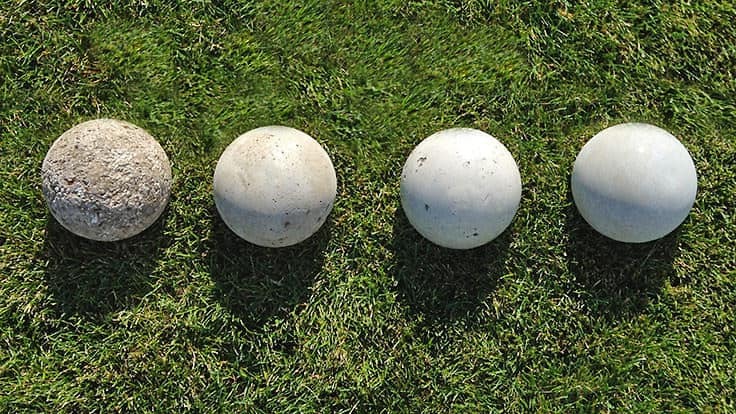 Choolly DIY shares how to make these impressive concrete doorstops. 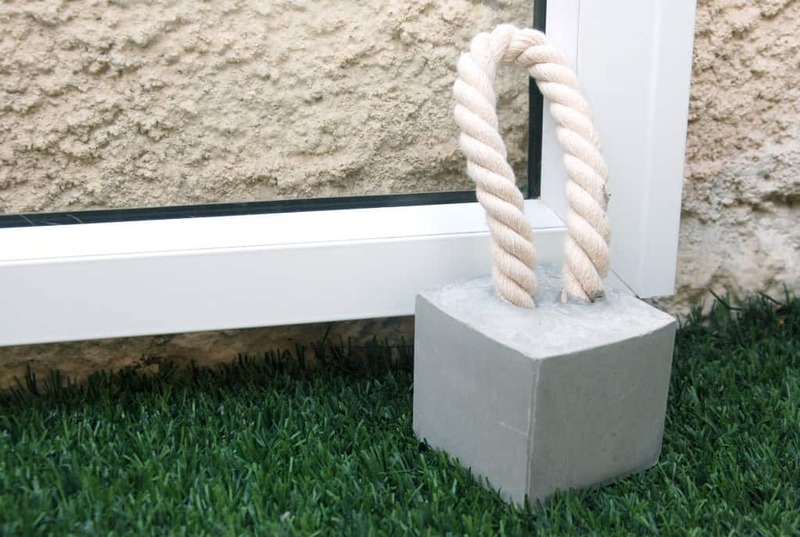 In as little as 48 hours and a few supplies you can have your own concrete doorstops. Find out how. Amaryllis at Sugar and Cloth was limited on space with only one bathroom. She wanted to come up with a unique way to save space. 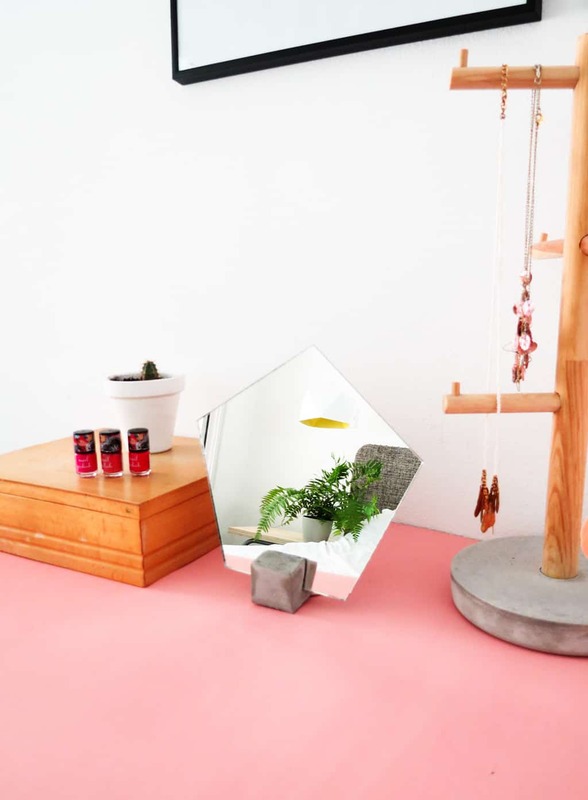 She accomplished that with these awesome concrete mirrors. The sleek lines of the concrete add character to any space. Stop by and take a look at the complete tutorial. 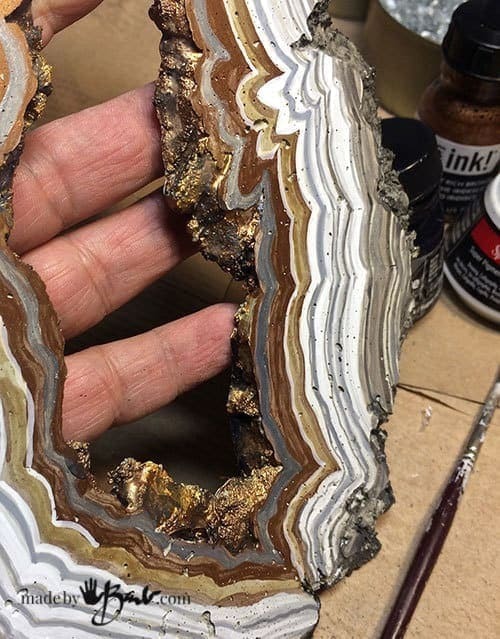 Made by Barb takes you back to your childhood with this tutorial on how to make your own large concrete geode. They turned out so cool and would make fantastic gifts! Learn how to make your own. 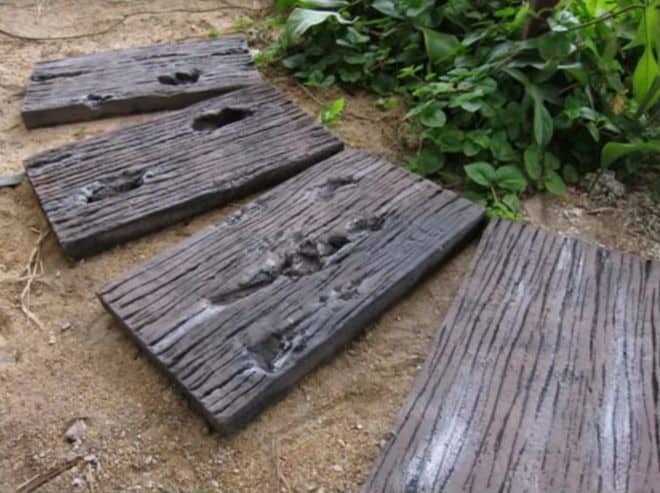 DIY Everwhere gives a detailed tutorial on how to make your own concrete stepping stones. They are rustic and just plain beautiful! Add some character to your garden with this tutorial. Addicted 2 DIY was looking for their first project with concrete. 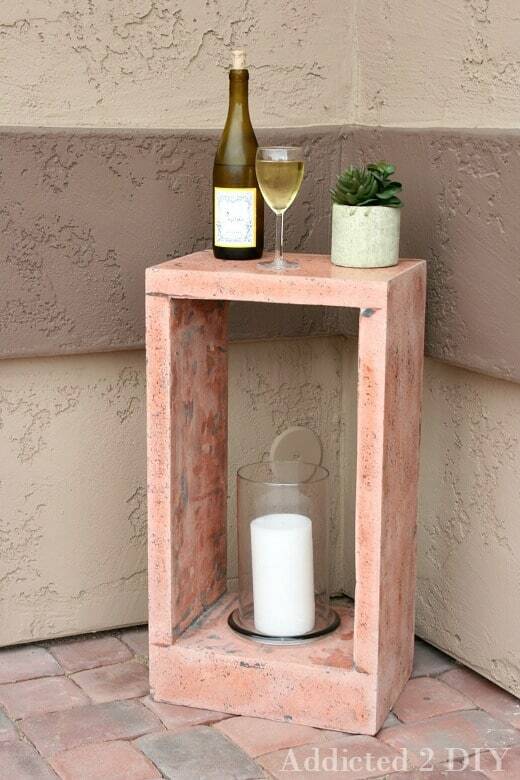 They blew it away with this impressive industrial concrete side table. 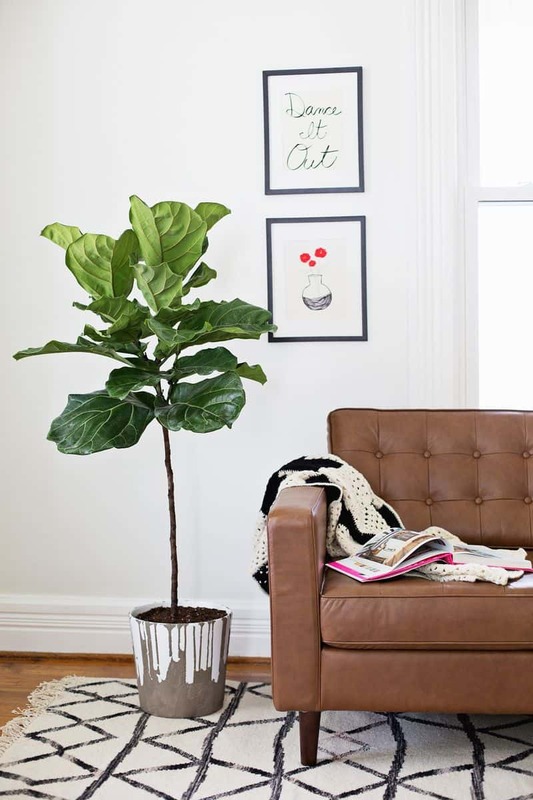 These are great for indoors or outdoors decorating. Check it out here. 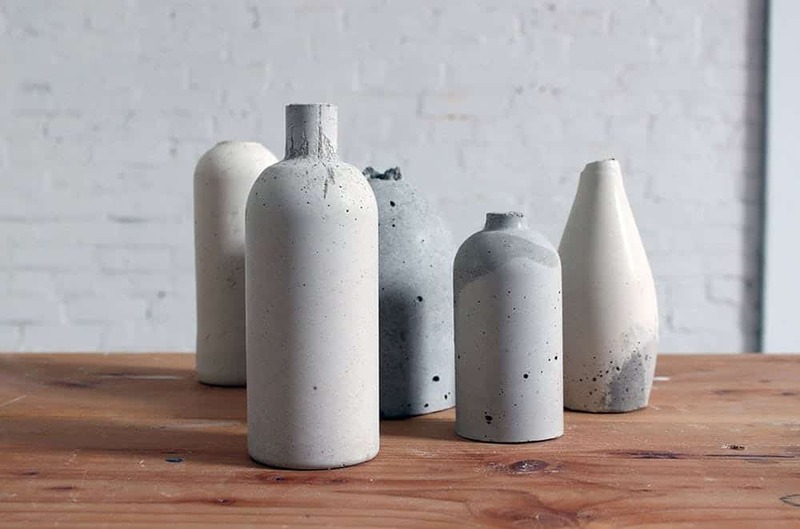 When it comes to making crafts with concrete, the options are endless. Hope you found some inspiration to start your own diy projects.